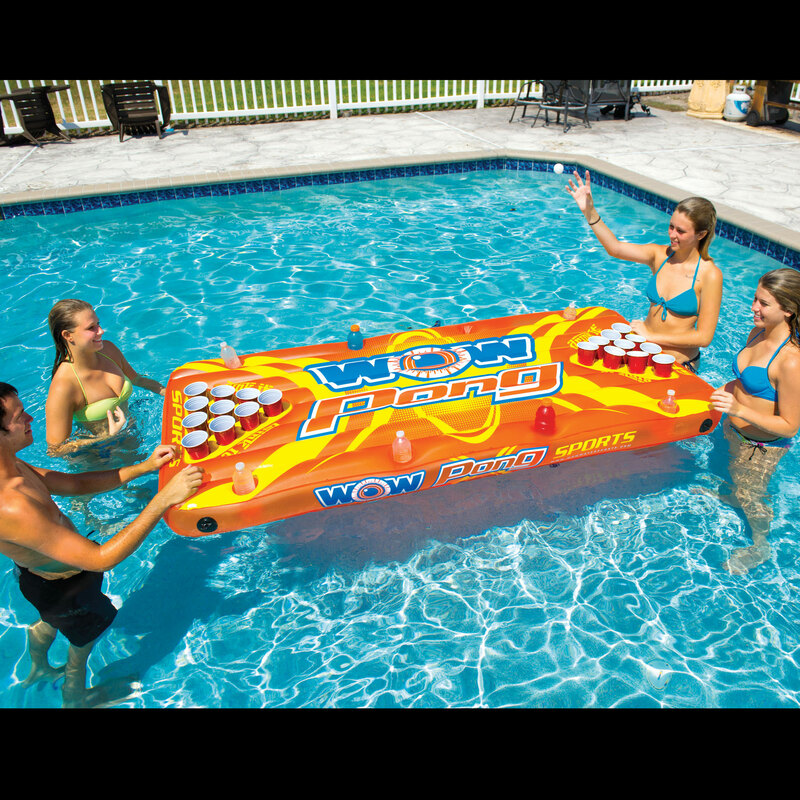 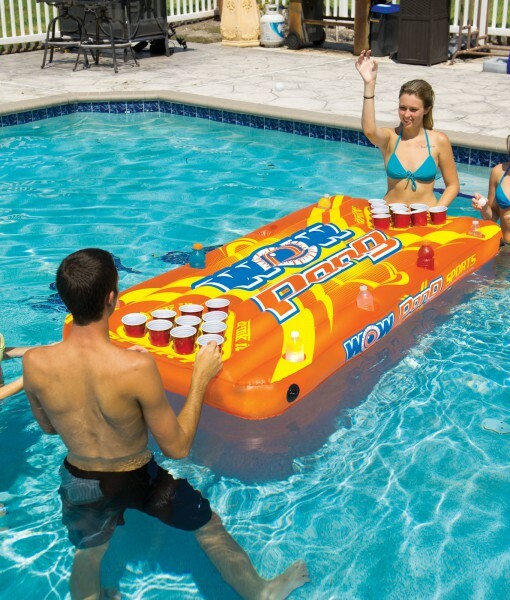 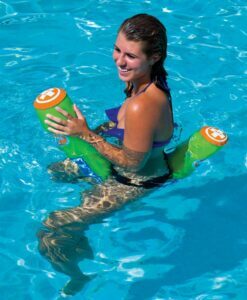 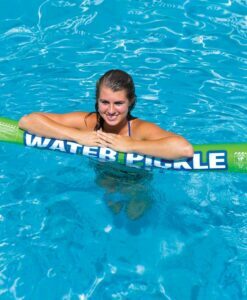 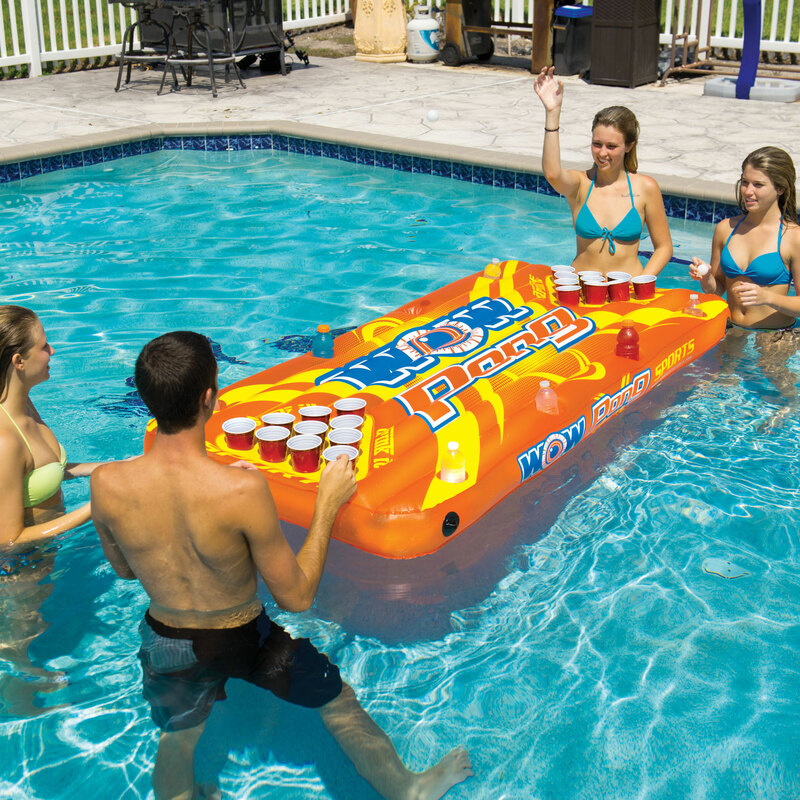 The inflatable WOW Pong game table from WOW lets you take the game of Pong from the house to your favorite body of water. 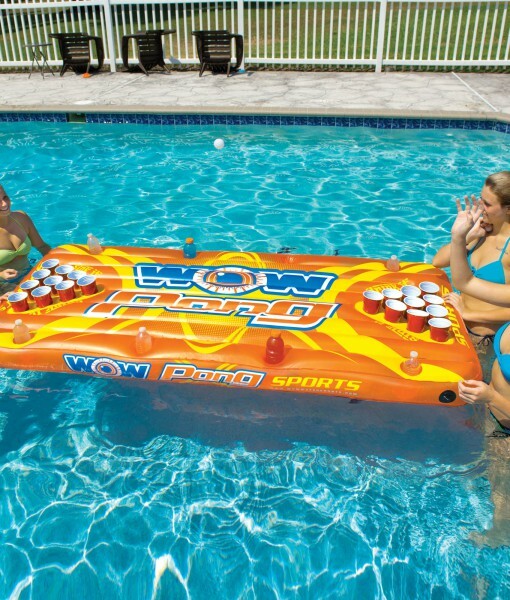 WOW Pong is not only a drinking game, but kids and adults alike can enjoy it as a game of skill on the water. 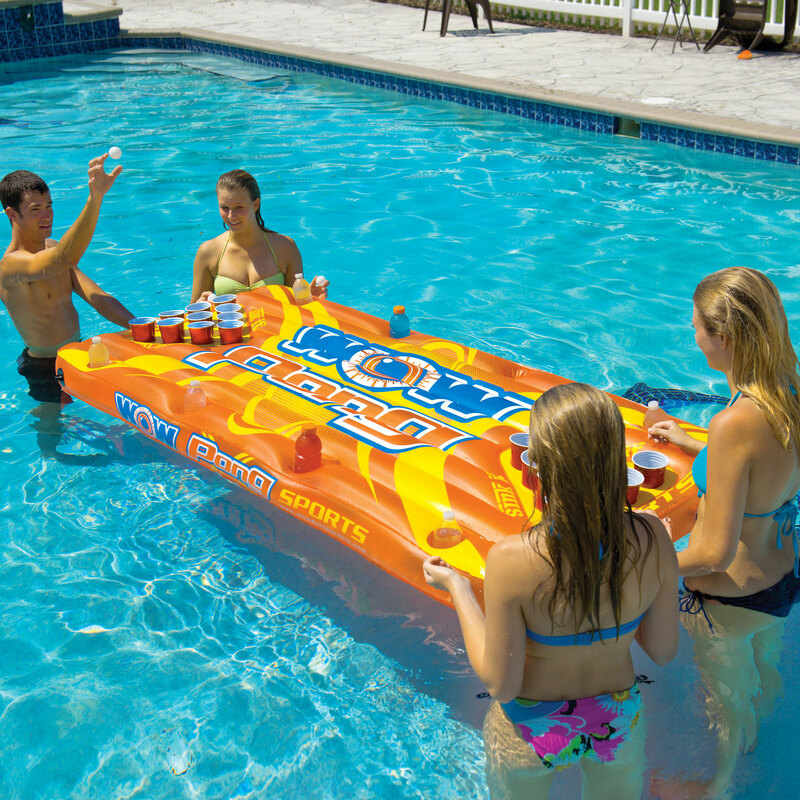 Test your shooting skills by trying to sink a pong ball in each of your team’s 10 cups before the other side does and you win! 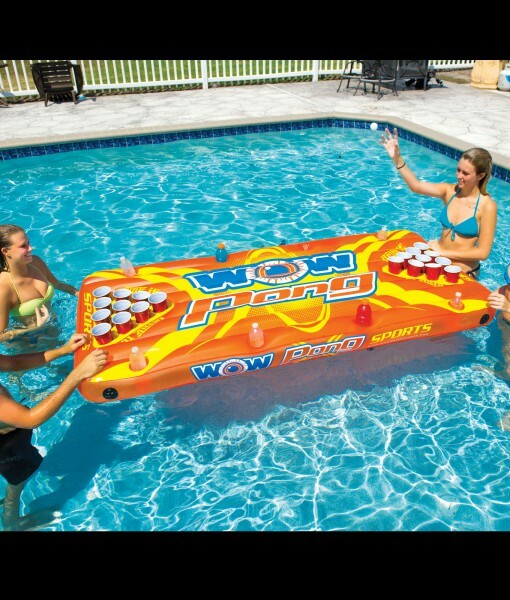 Well, its not quite that simple but almost. 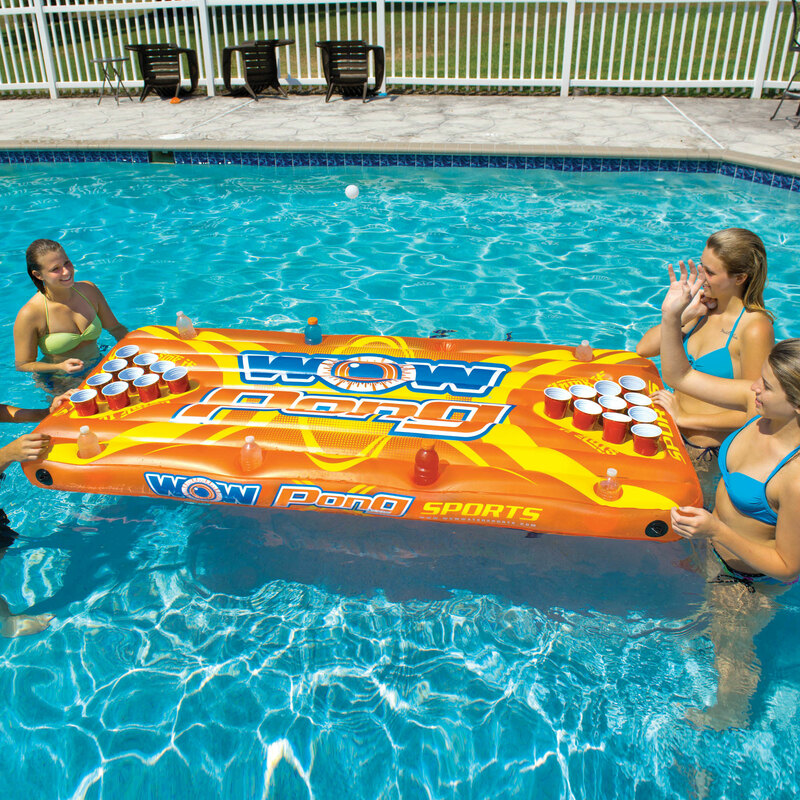 The WOW Pong game table comes with WOW’s House Rules included to explain how to play, or just make the rules up as you go! 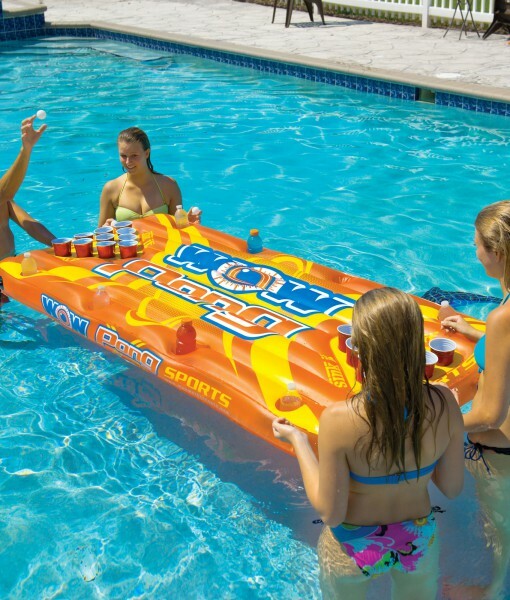 The WOW Pong game table from WOW is made of heavy-duty PVC and has 4 extra cup/can holders on each side of the table as well as 4 grommets for tying off. 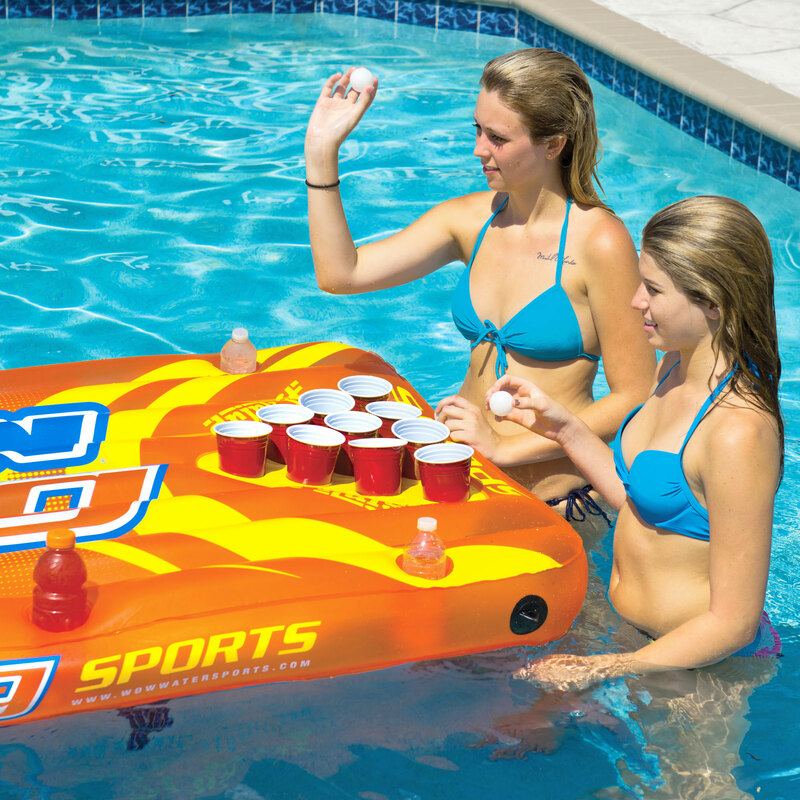 When you’re not using it as a Pong table just flip it over and it can be used as a lounge or water mat. 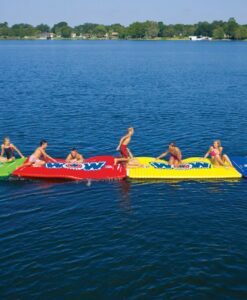 More fun on the water from WOW Sports! 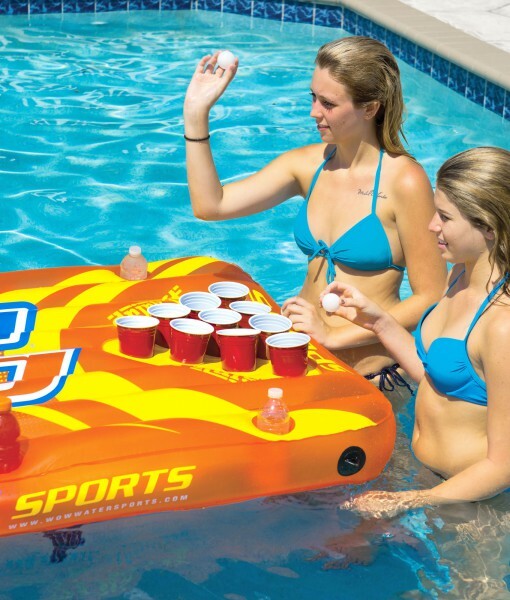 Pong cups and balls are NOT included.